KISS ME KATE - page one. 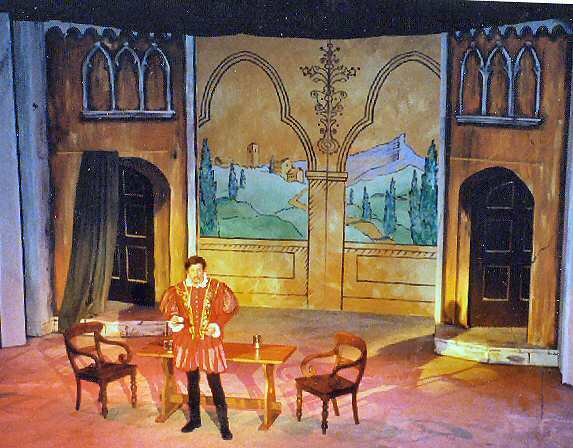 "Petruchio's House" Painted in a two dimensional fashion to look like the scenery of a stage performance, hence the hatching and the black outlines etc. The door arches either side are trompe l'oeil and have no depth in reality. See bottom of right arch.